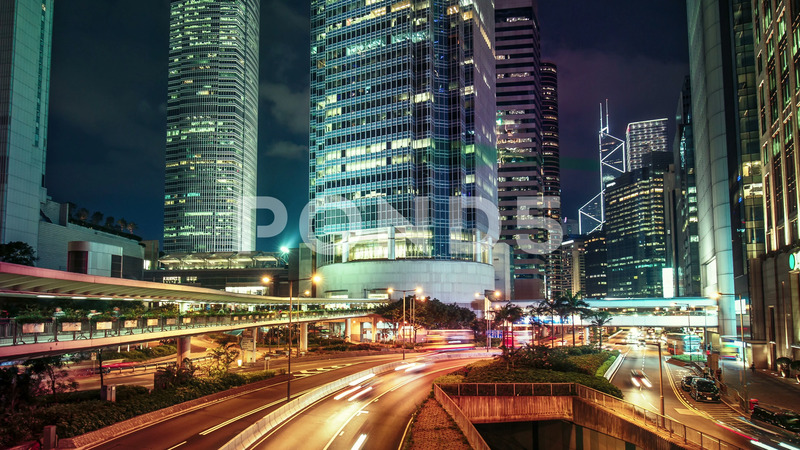 Description: Roads with car trails in Hong Kong financial district at night. Scenic view of big illuminated city with skyscrapers and fast moving traffic. Colourful 4K Time lapse.